HealthStar Communications, Inc. represents a creative and successful consolidation, funding strategy, and execution. Beginning with a seasoned management team, a $3 M platform company, and a blank sheet of paper, KSR professionals captured the vision and passion in a plan to create the world’s largest privately held medical and pharmaceutical marketing services company. HealthStar was repositioned to enhance its investment multiple by creating a mix of traditional medical advertising services and new strategic services, all aimed at helping the company’s clients better reach their customers and measure ROI. We published the plan and helped the team to refine its presentation to the capital markets. KSR facilitated the initial $50M venture financing with HIG Capital and was retained to advise HealthStar in ongoing acquisitions. Since the initial closing in 2001, the company has completed eleven acquisitions and today is recognized as a leader with over $250M in profitable revenue. Advanced Logic Systems, Inc. is an example of KSR’s success in strategic positioning, team enhancement, investment facilitation, and business development. KSR professionals facilitated the company’s seed capital investment and proceeded to fill missing management slots with recognized leaders. Additional investment followed. We advised the company and assisted in alliances with market leaders like Freddie Mac, Verizon and others. 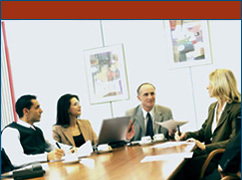 Today, Advanced Logic is a recognized leader in information sharing and communications solutions. It has recently penetrated the Homeland Security sector where its award winning ANICS™ system provides early alerts to first responders. These brief examples illustrate a sampling of our success. We have led numerous sales, licensing, distribution and training efforts, resulting directly in many millions of dollars in new revenue for our clients.